The #CohesionAlliance is a coalition of those who believe that EU cohesion policy must continue to be a pillar of the EU's future. As a consequence of Brexit and the need for the EU to fund new priorities such as defence, security and external border control, the financial allocations for cohesion policy risk being cut in the next EU long-term budget – or Multiannual Financial Framework – which sets the EU's expenditure ceilings for the period after 2020. 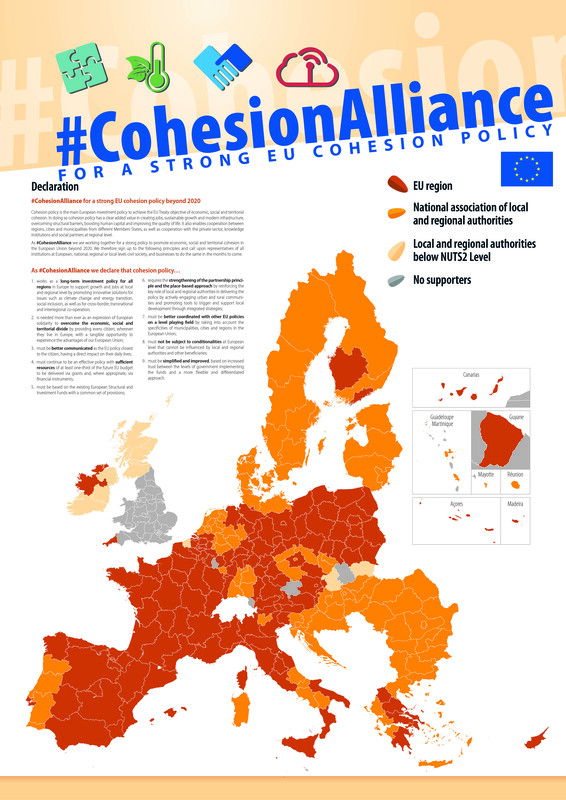 To avoid this and raise awareness about the vital role of cohesion policy, the #CohesionAlliance was initially launched by leading associations of regions and cities, including the Council of European Municipalities and Regions (CEMR) and the European Committee of the Regions in October 2017.